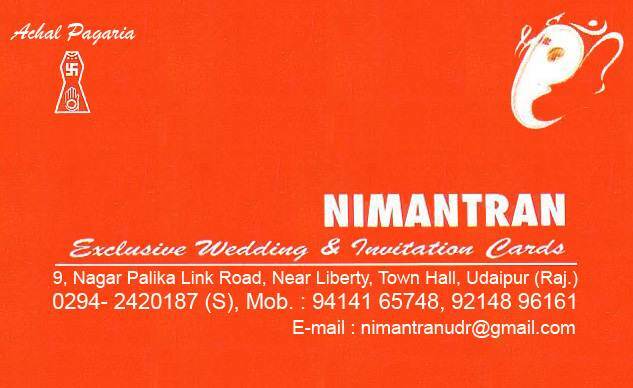 We are exclusive wedding and invitation cards providers in the Udaipur. We have all the lattest and modern designer cards with us. Exclusive quality is our aim.